are recognized leaders among the Forex trading software. The fifth version of the terminal was launched in 2010. Since that time, it has been changed and upgraded several times. 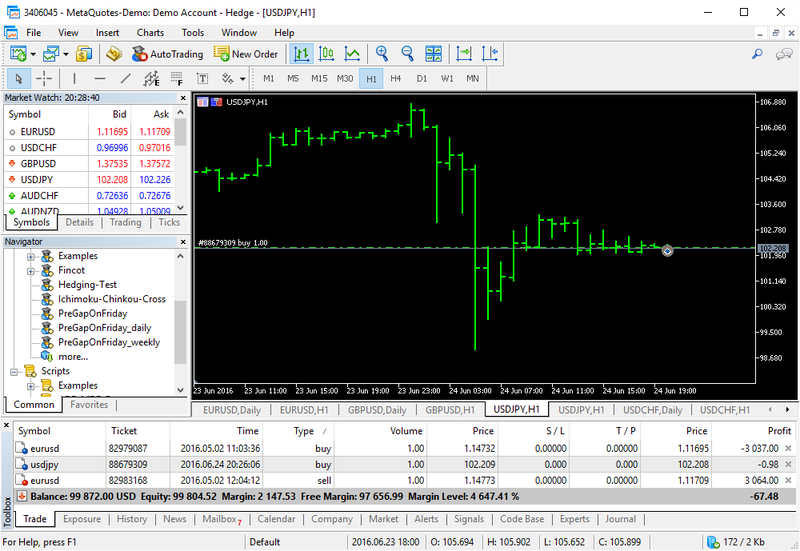 MT4 platform appeared in Forex brokers' accounts in July 2005. Currently, both software products develop independently. So, what are the main differences of the 5th and 4th versions of MetaTrader? From the design point of view, MT5 looks very similar to its predecessor. 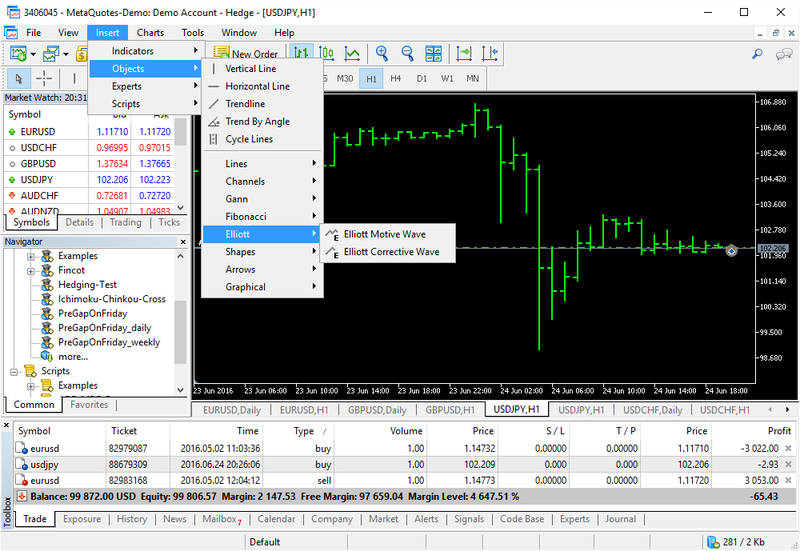 The workspace of MetaTrader 5 is divided into the same logical parts as MT4: Market Watch, Navigator, Trading, and the financial instrument's Chart. The changes have been made only to the design of some buttons. Contextual menu has been updated to offer chart type switching between line, bars, and candles. A layman would not tell any difference between MetaTrader 5 and MetaTrader 4 at a first glance. Visual distinctions are almost absent. MT5 trading platforms offers 9 standard timeframes: M1, M5, M15, M30, H1, H4, D1, W1, and MN. The assortment of time periods in MT5 terminal is much wider. In addition to the timeframes presented in MT4, the 5th version boasts the following ones: M2, M3, M4, M6, M10, M12, M20, H2, H3, H6, H8, H12. Previously, MT5 did not support position hedging. A trade executed in an opposite direction would close (partially or completely) the existing position. 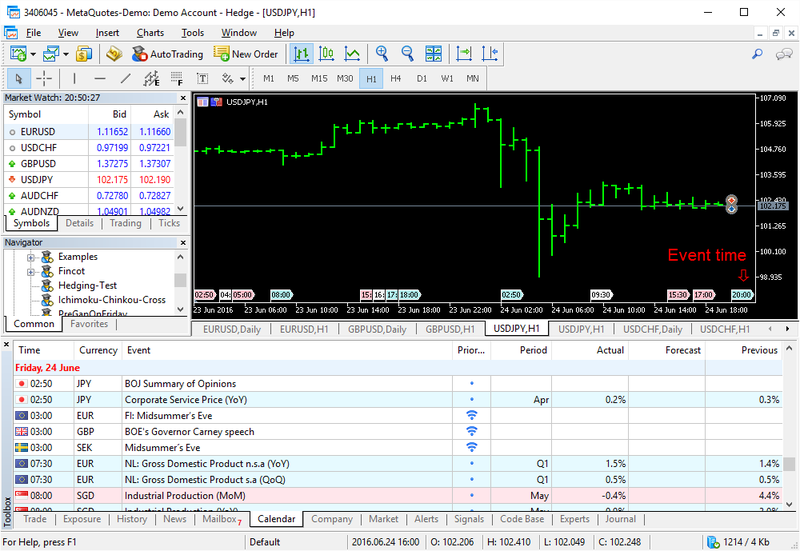 During platform's update in April 2016, MT4-like hedging has been introduced into MetaTrader 5. 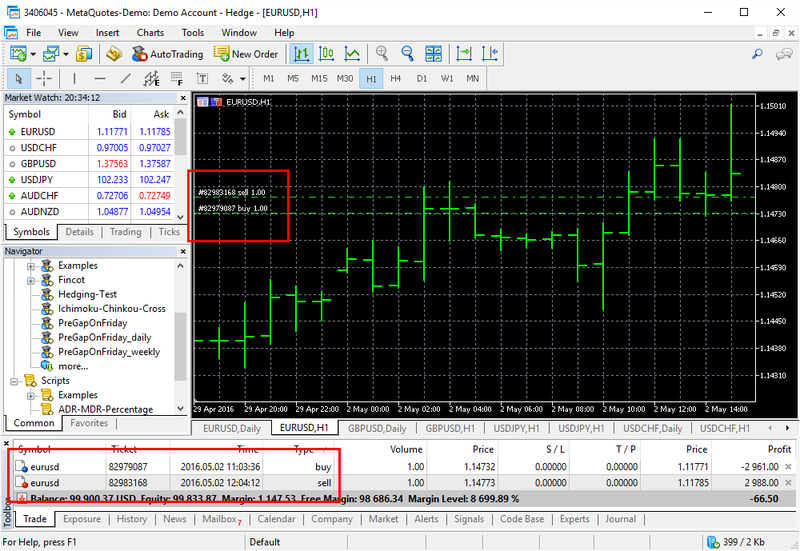 At the same time, traders can still open accounts, which use netting position system (without hedging) at MT5 brokers. In hedging mode, the trading account will show all positions opened for the same trading instrument at different prices and different time. In netting mode, such positions would be aggregated together. The terminal would be showing average price and net volume. In the latest version of MetaTrader, you can drag-and-drop the stop-loss and take-profit levels with your mouse. 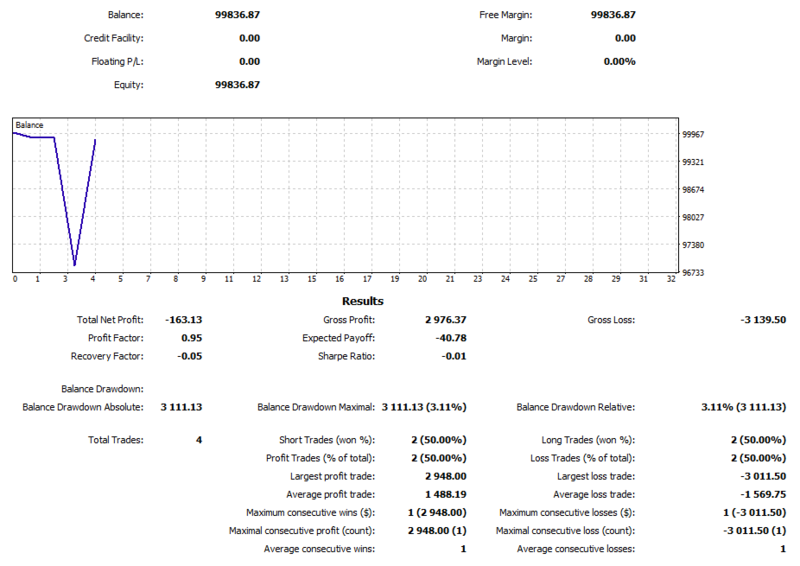 This feature works in normal mode and in One Click Trading mode. The difference is that the former requires manual confirmation for each SL or TP change while the latter means instant change of the respective trading levels. MT5 offers a much wider assortment of financial instruments compared to MetaTrader 4. Traders can operate not only in currency pairs, metals, and CFDs, but also in futures, indices, and equities. Unlike MT4, which is OTC in its nature, MT5 is adapted for handling the exchange-traded instruments. MT4 has nothing like this. The best it can offer is the view of latest executed price levels. MT5 terminal has enhanced reporting compared to MT4. It lets forming report as an Open XML document, which can be further processed in Excel or Calc. It can be useful for analysis of your trading strategy. 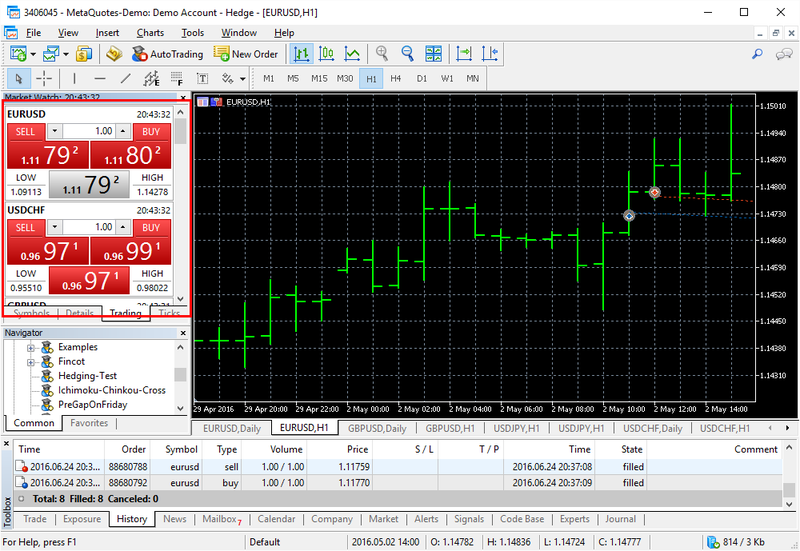 MT4 lets traders save the account report only in HTML format using the standard approach. Traders can use third-party scripts to produce Excel/Calc reports. MT5 replaces this approach with an easy solution. Additionally, MT5 offers reports in any of the platform's supported language whereas MT4 can produce reports only in English. The platform's analytical capabilities have been upgraded in the 5th version. The standard list of lines, icons, and other graphical objects has been revamped. New charting objects have been introduced. Traders who prefer Elliott Wave analysis can now add waves with just a few mouse clicks, which is something that 4th version of the platform lacks. The number of built-in indicators has been increased. Custom technical indicators are now easier to search and install. 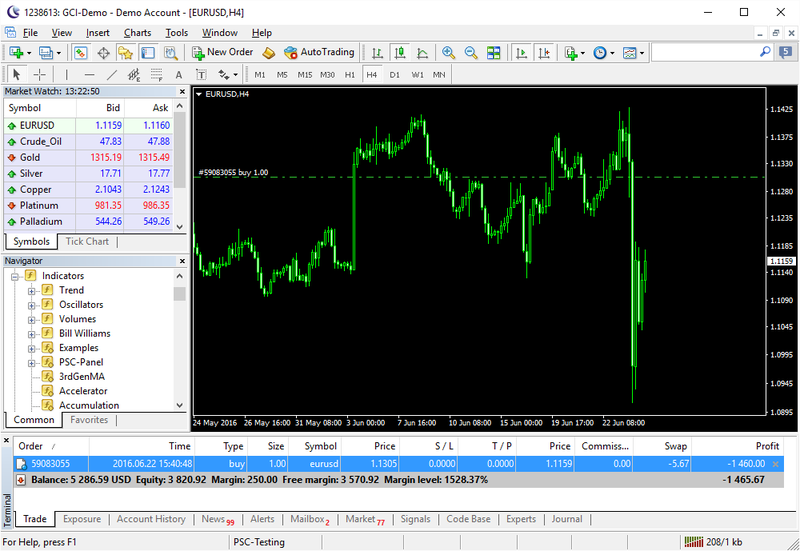 In MT4, you would need to download an indicator file and copy it into the indicators' folder. Then, you would need to restart the platform. In the 5th generation platform, you can install trading robots, indicators, and scripts directly from the terminal. You can do it by accessing the CodeBase repository either by pressing F2 or by via menu Tools->MetaQuotes Language CodeBase. Then, you just need to right-click the indicator/EA/script that you like and choosing Download. The lower part of the terminal (Toolbox) has two new tabs compared to MT4. The Company tab grants the trader direct access to his or her trading cabinet at the broker's website. The Calendar tab gives quick access to the schedule of important economic events without having to visit third-party Forex calendars. Moreover, the Calendar's information is also featured directly on chart in form of special timed banners. MT4 has no such features. 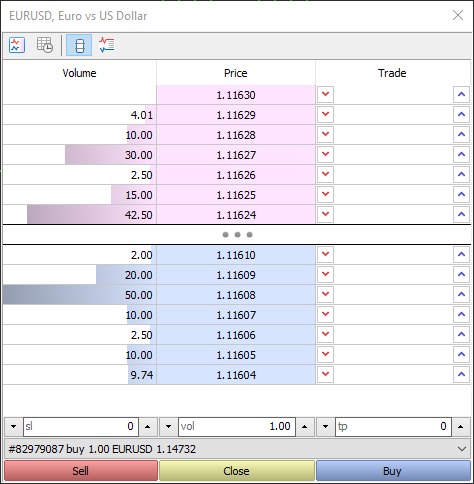 The Strategy Tester in the newest version of the platform allows backtesting on multiple currency pairs at once. Expert advisors can now trade several financial instruments during the test. All tested instruments should be visible in Market Watch. Additionally, backtesting on real tick data is possible in MT5. The closest thing offered by MT4 is modeled ticks based on M1 data. You can now use several CPUs for faster backtesting. You can also lend your CPUs to other traders for backtesting purpose and earn money for it. You cannot do this with MT4. Software for MetaTrader 4 and MetaTrader 5 is written in different languages. The first one uses MQL4. The second one uses MQL5. In most cases, it is impossible to compile MQL4 code in MT5 and vice versa without significant modifications. 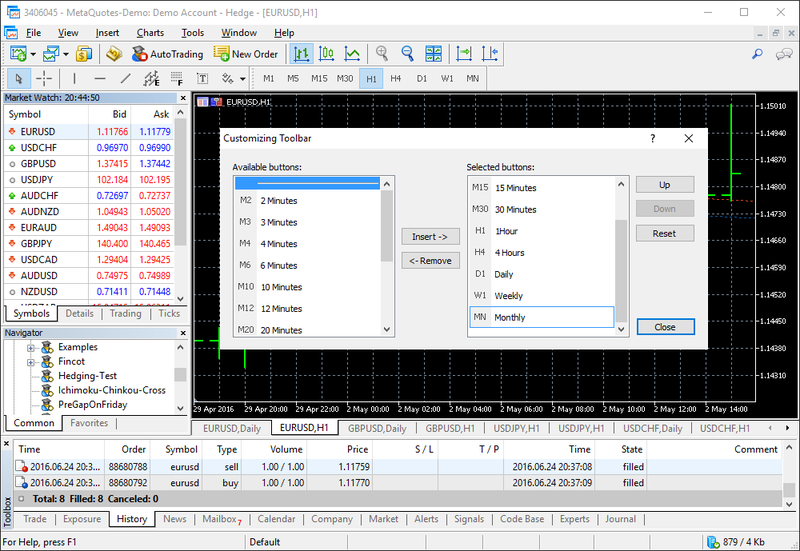 In MT5, you can use MQL5 Wizard, which is built in MetaEditor coding IDE, to create simple expert advisors and indicators in just a few clicks. Before enabling the hedging account types in MT5 platform it was not very popular with both brokers and traders. Since the April 2016 update of the terminal, brokerage companies report the inflow of new MetaTrader 5 accounts. It is possible that soon MT4 will be completely replaced by MT5. Currently, you can open live trading MT5 account with such brokers as Exness, RoboForex, InstaForex, LiteForex and others. The growth of loyalty to MT5 platform is noticeable among stock exchanges. For example, the number of exchange brokers supporting MetaTrader 5 grew by 15 in the year 2015. MT5 popularity trend is clearly growing among both brokers and traders. Overall, the MT4 version is still the most popular one — mainly due to the large number of custom programs written exclusively for the platform. MetaTrader 5 platform can now boast all the features of the previous version of the platform. Inception of the hedging accounts gave boost to the number of interested clients and its popularity in the Forex industry. The latest release of MT5 surpasses MT4 by offered function and by usability.